As former deputy Liberal leader Julie Bishop — who as a backbencher has become very forthright — said in the Coalition party room on Tuesday, “this is not orthodox Liberal policy”. Ms Bishop canvassed the danger of sovereign risk. Instead, trying to respond to the pressing electoral issue of high electricity prices, the Government has reached for its “big stick” including the threat of divestiture — a policy that is being attacked by Labor as well as business. Meanwhile there will be a Senate inquiry, reporting in March. This puts off a Senate vote until budget week in April — ensuring a lot of noise about this controversial measure just when the Government will want all the attention on a budget crafted to appeal to voters for a May election. As both sides played the tactics, a remarkable thing happened in the House of Representatives. Behaviour improved 100 per cent, with none of the usual screaming and exchanges of insults. This pleasing development was, unsurprisingly, driven by cynicism — neither Government nor Opposition could afford to have anyone thrown out ahead of the possible crucial vote. 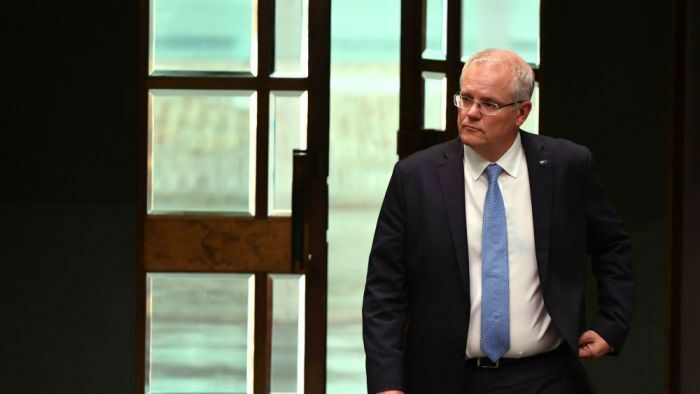 Earlier, Mr Morrison had shown anything but restraint when at his news conference he described Bill Shorten as “a clear and present threat to Australia’s safety”. Once that would have been taken as a serious claim, which a prime minister would have been called on to justify. In these days, it’s seen as a passing comment. In what was a highly aggressive performance, Mr Morrison gave us another taste of what he’ll be like on the hustings. Defeat in the House would not have equalled a no confidence vote, but it would have been a serious blow for Mr Morrison. Looking for a precedent, the House of Representatives’ clerks office went back to votes lost in 1929 (which led to an election) and on the 1941 budget (which brought down the Fadden government). Morrison’s first, and last, Kirribilli Christmas? But the Government may have just put off, rather than prevented, the reckoning. The Government had declared the encryption measure was urgent, and the blame game started in anticipation of a hold up. Then, mid-debate in the Senate, Labor abandoned its attempt to amend the bill, which glided through. In an agreement that may mean something or nothing, the Government undertook to consider the ALP amendments in the new year. Mr Shorten didn’t want to be open to the Government’s accusations of impeding legislation the security agencies said would help prevent terrorist acts. “I couldn’t go home and leave Australians over Christmas without some of the protections which we all agree are necessary,” he said. And by that time Mr Morrison will have had his first and probably his last Christmas at Kirribilli. AFL finals live: Will Melbourne and Geelong serve up another classic?